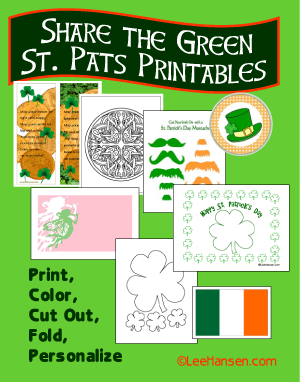 Have fun on St. Patricks Day with these print and cut leprechaun mustache masks. 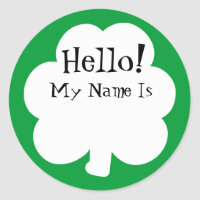 Choose green or orange mustaches to wear or to use for party decorations and leprechaun pranks. 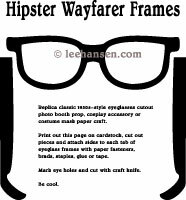 To use a mustache cutout as a face mask, fasten your favorite paper mustache lightly to upper lip area with tape or sugar-glue, or attach to a skewer or plastic straw. 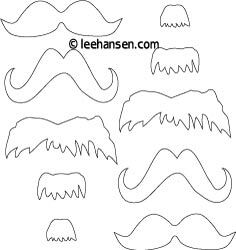 Resize mustaches in a graphics progam to use for scrapbooks or paper crafts. 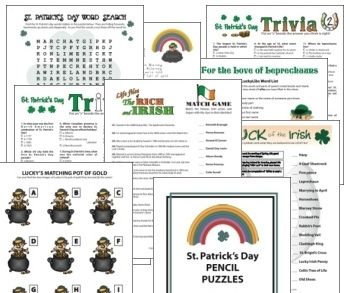 Combine a leprechaun mustache cut out with a pair of funny paper eyeglasses to make a party mask. 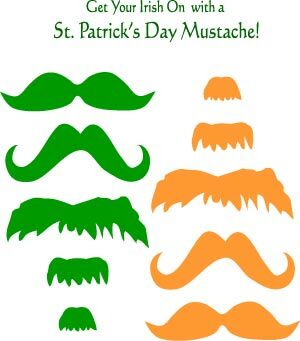 Or use these print and cut orange and green mustaches to make photo booth props for your St. Patrick's Day party or pub crawl event.